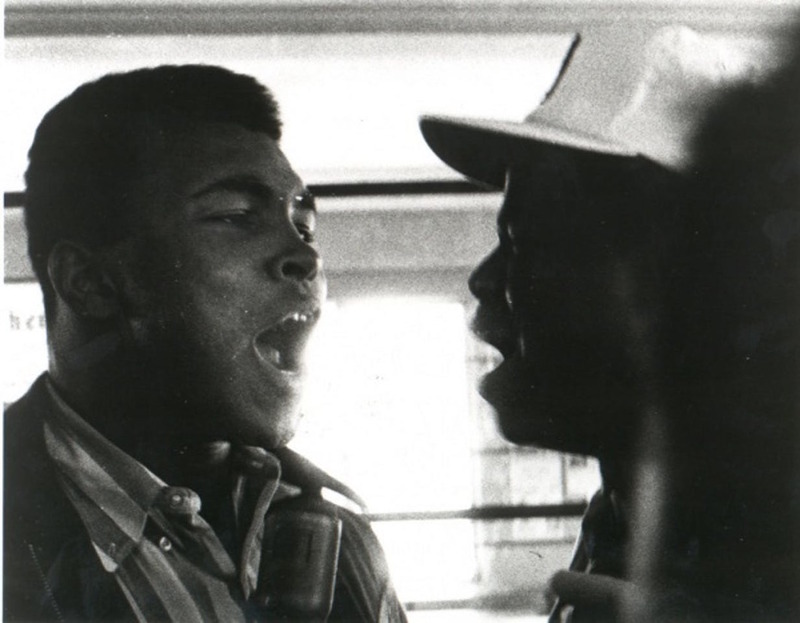 William Klein, Muhammed Ali, The Greatest, 1974, 35 mm, black-and-white, sound, 94 minutes. EVEN IF YOU’VE SEEN WILLIAM KLEIN’S Muhammad Ali, the Greatest (1974) online or at a museum or festival, they are no substitutes for seeing it right now in a theater with an audience, just like you’ve seen Black Panther (2018). Take your kids, or any kids you know, to see a real-world hero. Muhammad Ali is one of the best films in “The Eyes of William Klein,” a retrospective at Quad Cinema of narrative and documentary features and shorts by the ninety-year-old photographer and filmmaker. In a documentary made for the BBC (not part of this series) to coincide with the filmmaker’s 2012 retrospective at Tate Modern, someone tells the story of how Klein got what, in Muhammad Ali, seemed to be almost unlimited access to the boxer in 1964–65, when he won the heavyweight championship against Sonny Liston in Louisville, Kentucky, and then beat him at their rematch in Maine. Klein was flying to Miami, hoping to get a chance to shoot Ali during training, and took the only empty seat on the plane, which turned out to be next to Malcolm X. Somehow, by the end of the flight, the New York–born photographer of Hungarian Jewish descent, best known for his Vogue fashion shoots and the street photography published in his book Life Is Good & Good for You in New York: Trance Witness Revels (1956), had managed to convince Malcolm to recommend him to Ali. The film’s second half takes place in what was then known as Zaire—now the Democratic Republic of the Congo—where Ali fought George Foreman in 1974. At that point, Ali was coming back from years of US government–enforced inactivity. In 1967 he was convicted of draft evasion, stripped of his titles and boxing permits, and sentenced to five years in prison, which he appealed. 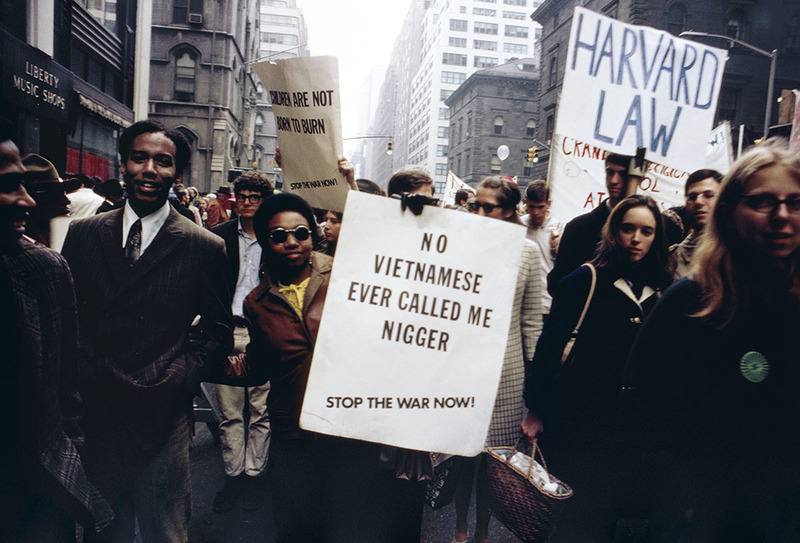 Despite the threat of incarceration, he spent the late 1960s protesting the Vietnam War. In 1971 the Supreme Court overturned his conviction, but years of not being in the ring had taken a toll. As Ali prepares for a “Rumble in the Jungle,” as promoter Don King named the match in Kinshasa, Klein lets us see that despite Ali’s now-vulnerable body, his spirit is intact, which makes the possibility of seeing him lose tragic to contemplate. Ali wins, but the film demonstrates that the director was more interested in the prelude to and the aftermath of the fight. (All told, there’s barely one minute of images in the movie from the boxer’s various battles.) But just as in Louisville, where Ali refused to play nice with the town fathers, in Zaire he wouldn’t allow himself to be used in a media spectacle starring Mobutu, the country’s corrupt dictator. 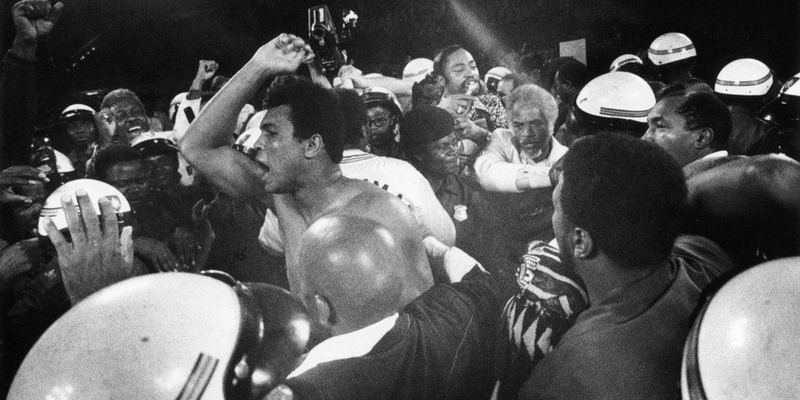 The film is ostensibly a portrait, but by examining a figure such as Ali, its scope inevitably encompasses the relationship between media and power. William Klein, Far from Vietnam, 1967, 35 mm, color and black-and-white, 115 minutes. Klein has an insider’s understanding of commercial media: Over his roughly seventy-year career, he generally made his living by working in fashion and advertising. His still- and moving-image work from such assignments is stunning in its own right and serves as an index of the aesthetics and ideals of beauty cherished throughout the second half of the twentieth century. The experience he gained from those industries inspired the dazzling early short film Broadway by Light (1958) and the three features Who Are You, Polly Maggoo? (1966), Mr. Freedom (1968), and The Model Couple (1977), all screening as part of the Quad series. Of these, Polly Maggoo is not to be missed. A hilarious and sometimes literally abrasive satire of the French fashion industry—from couture to its then-burgeoning stepchild, ready-to-wear—it’s a consummate 1960s pop movie: The costumes, set design, and high-contrast black-and-white images are as startling today as they were fifty years ago. Just as pleasurable, the documentary In & Out of Fashion (1998) is culled from his footage of fashion shows and shoots, including a memorable appearance from the young Yves Saint Laurent as he prepares his early collections. The double whammy of Polly Maggoo and Far from Vietnam (1967) cost Klein his contract with American Vogue while winning him greater support from French and other international publications. The latter film, a collaborative documentary that explored how the medium could be a useful protest tool against the war, is another must-see. Its authors were Klein’s Left Bank Group friends—Chris Marker, Alain Resnais, Agnès Varda, and Joris Ivens, as well as Jean-Luc Godard and Claude Lelouch. The individual episodes that make up the whole are unsigned, but it’s clear who made which one. Klein shot his episode in the US, where he documented protest marches; his camera, close-up and intimate, captures the interactions of demonstrators, hecklers, and cops. Their body language, facial expressions, and words are uncanny mirrors of those of their present-day counterparts. As we approach the fiftieth anniversary of May 1968, this film and several others screening this weekend, in particular May Days (Grand soirs et petit matins) (1978) and The Pan-African Festival of Algiers (1969), seem as urgent as ever. Klein’s documentaries are not entirely unknown in the US, but his name never appears alongside those of documentarians such as the Maysles brothers, D. A. Pennebaker and Chris Hegedus, and Frederick Wiseman in the cinema verité canon. Perhaps it is because of his defiant pluralities: photographer and filmmaker; American and French citizen; fine and commercial artist. Regardless of how he is categorized, he has created a formidable and illuminating body of work. “The Eyes of William Klein” runs through March 13 at the Quad Cinema in New York.